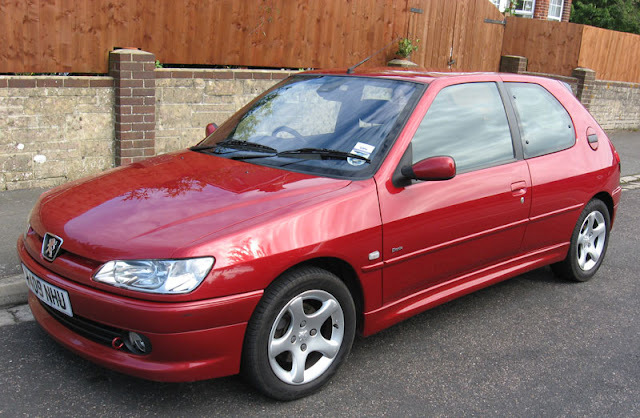 If your Peugeot 306 is making knocking noises then you should investigate immediately as knocking noises can indicate quite serious failure of suspension components which could result in a nasty accident. Using our experience, we have put together a list of the most common causes of knocking and creaks so you can investigate yourself, or be more informed when you give the local garage a call. Most of these parts are available to order from Euro Car Parts who do free UK delivery. The top engine mount (on the left as you look at the engine bay) is prone to wear and the chassis where the mount connects is sometimes cracked. Proper repair will likely require a new plate and retaining nut to be welded in. A crude way to test this is to try to rock the engine by hand. Also inspect the bottom and gearbox mounts. If improperly fitted, the sub frame mounting bolts can come loose over time. If you have long enough arms these can be checked without jacking the car up. If these bolts are tight then check the bushes. The most common bush to fail is the rear "P bush", this bush can severely crack which dramatically effects the tightness of handling at the front. Even if they only look moderately worn, changing these bushes will transform the car's handling. A critical part of the Peugeot 306 suspension, these can sometimes cause a knocking sound if worn and should be investigated immediately. If the incorrect length bolts are fitted (too long) this can cause a knock when applying steering lock. Connecting the anti roll bar to damper, these commonly wear out, especially on cars with upgraded/lowered suspension. If you're going through the standard ones quickly, it's worth upgrading to rose jointed drop links (if you can find any!). Only takes 30 seconds to check and it could be a cheap solution. The mounts can become worn, especially on cars with lowered suspension. There's two front and two rear mounts connecting the rear beam to the body, Peugeot's fantastic passive rear steering relies on the rubber bushes allowing for some movement, over time these can become excessively perished and cause knocking when going over bumps or cornering. Check this is not mounted too close to the body as this can cause knocks when travelling over bumpy ground. These will knock if excessively worn, also check bolts are tight. Lift the carpet in the boot and check if the bolt is loose. check for excessive negative camber in rear wheels. The giveaway for this is a creak when applying steering lock when moving or stationary. Do you have any other suggestions to add? Or have you checked all of the above and still getting annoying knocking noises on your Peugeot 306? Then please leave a comment below and we will get back to you.